iHearU helps you make sound decisions. Locate places where you can hear, and be heard. Do you want to find a quiet café to discuss business or chat with a friend? iHEARu can help. 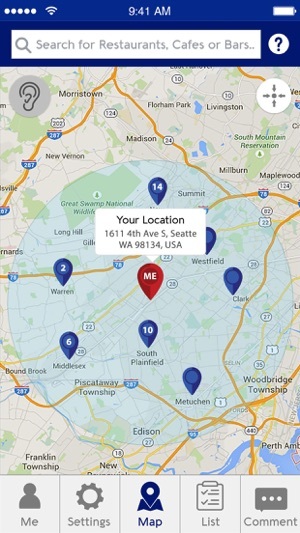 Our mobile app is a crowd-sourcing tool to help you find locations with noise levels that suit your needs. 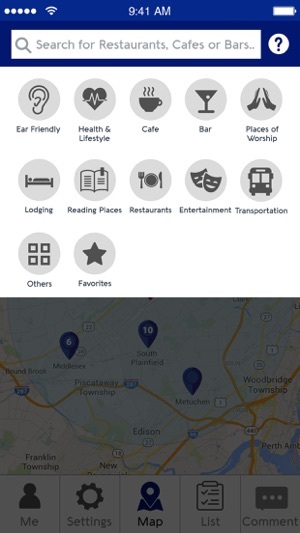 If you’re looking for a quiet eatery, bar or café then iHearU GPS will help you find it. 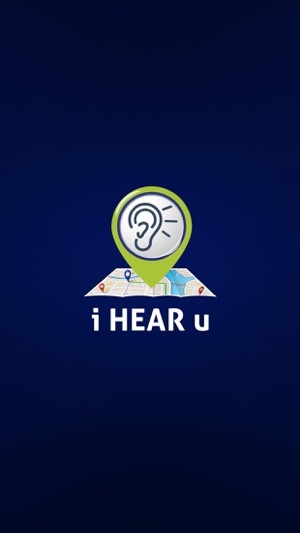 If you’re looking for public or commercial spaces that offer assistive listening options, on a particular day and time, our mobile app can locate those too. 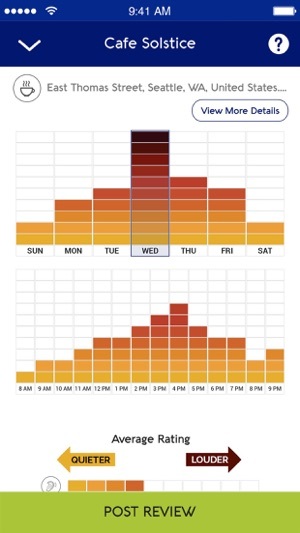 As an iHEARu user, you can take actual sound-level readings anywhere, anytime. You can also read reviews, and find links to each establishment, so you can make a decision on where to eat, hold a meeting, read a book, gather with friends and more. iHEARu has two types of sound level readings. One can be taken using the app, via the microphone on your mobile device. 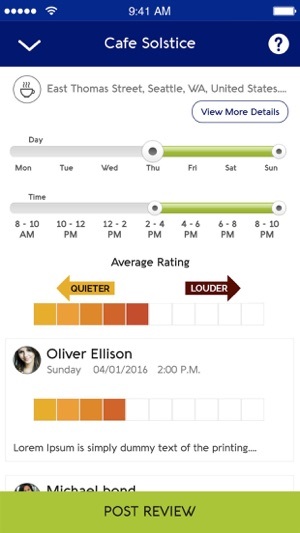 The other is "what my ears say," where you can register your individual impression of a sound level by selecting a spot on a rating scale. When writing your review, you can also enter comments and/or photos of the location. You can show others your favorite quiet spots. Minor Bug Fixes and Enhancement in features.